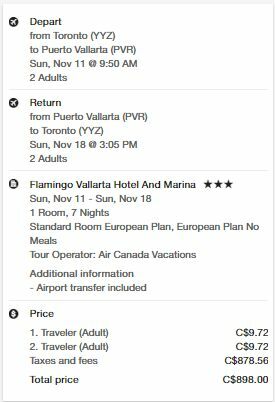 Air Canada Vacations has dropped the price of a 1 week flight and hotel package from Toronto to the Flamingo Vallarta in Puerto Vallarta, Mexico down to $449 CAD (per person) including taxes. 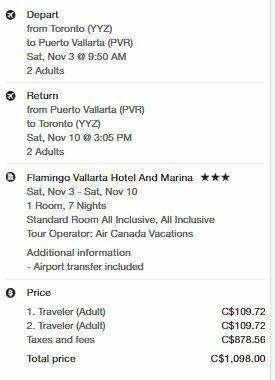 It's still a pretty great price though, considering a non-stop flight to Puerto Vallarta generally goes for a minimum of $500 CAD roundtrip alone. 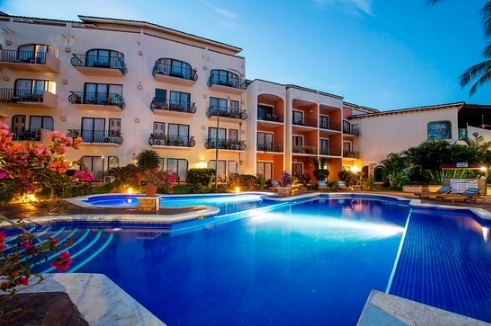 You're essentially getting a very well priced non-stop flight to Puerto Vallarta with the accommodations thrown in for free. The Air Canada Rouge flights from Toronto to Puerto Vallarta are non-stop both ways. You can also find the all inclusive version (all meals and drinks included) of this same package for $549/person (see instructions below). toronto, yyz, mexico, puerto vallarta, pvr, air canada vacations, north america, flight and hotel packages and flamingo vallarta.